Wine writers have now had the chance to gather their tasting notes from an amazing launch from Champagne house Krug. Jancis Robinson MW was one of the first to taste the new Krug 2002 in Reims at the Krug House on 8th January 2016. 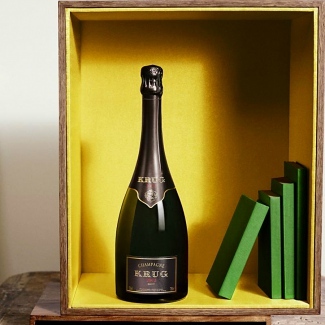 The full article is only available to members of jancisrobinson.com she comments “If you are a serious fan of top-quality champagne, this is the time to register your interest in Krug 2002 with your wine merchant.” Price are due to be released on 1st February 2016, The Finest Bubble will bring you them as soon as we have them.